By now, if you are a regular reader of the Film My Run race reports, you will be well aware that I picked up a bit of an injury towards the end of the summer. 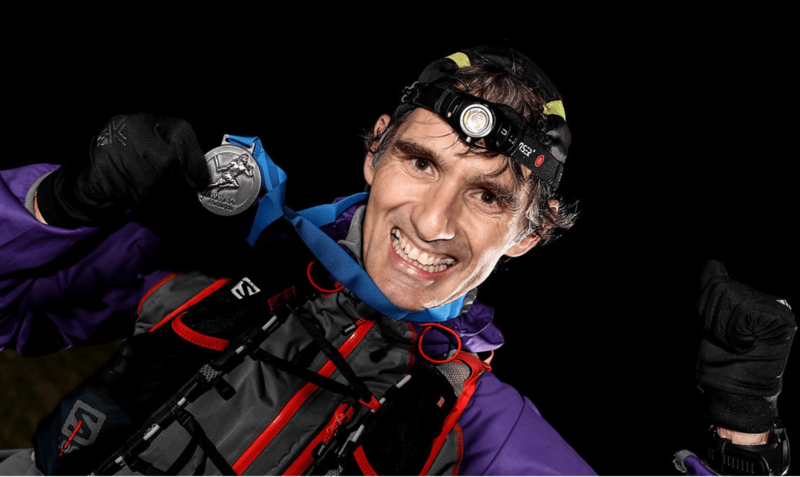 Since returning, I have completed the Beachy Head Marathon and the Thames Meander Marathon. For some reason, I did perfectly well at the very tough, hilly trail marathon and absolutely terribly at the pancake flat, dead easy river marathon. But Wendover Woods 50 would be a different proposition entirely. Fifty miles of technical terrain climbing over 9000ft of elevation. Bring it on. Beachy Head and Thames Meander marathons, I considered, should have built up some stamina, along with the training runs I have done. Nevertheless, driving round the M25 towards Aylesbury I was nervous and apprehensive about what was to come. I left home at just after 5am and arrived at race registration in Halton around 7am. 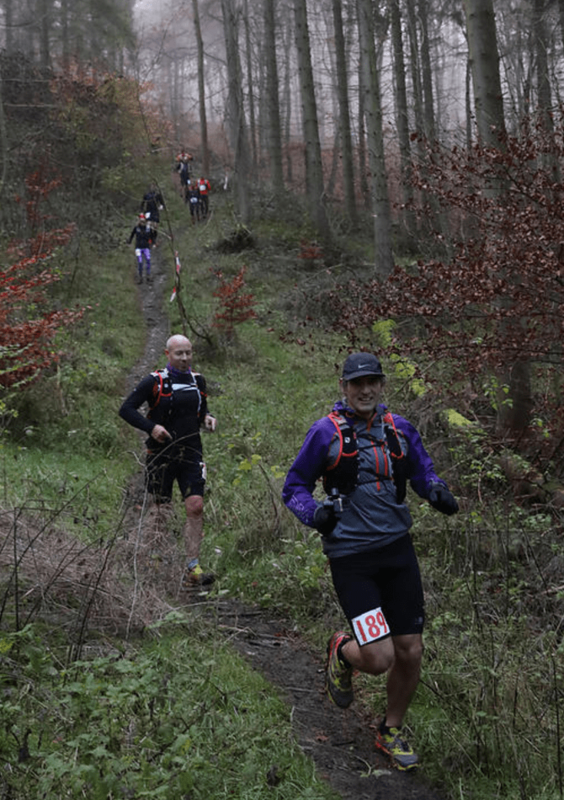 Wendover Woods 50 is a Centurion event. To those in the know, I need say no more. 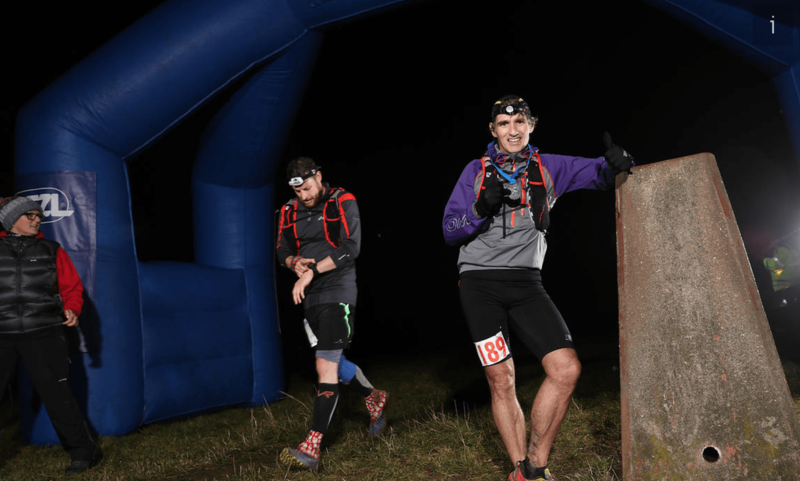 For the rest of you, Centurion Running organise some of the most well-respected ultra distance events in the UK, attended by some of the best ultra runners in the UK. They are responsible for the South Downs Way, North Downs Way, Autumn and Thames Path races which make up a Grand Slam of 100 mile events. Until now there had not been an equivalent Grand Slam of 50 mile races. 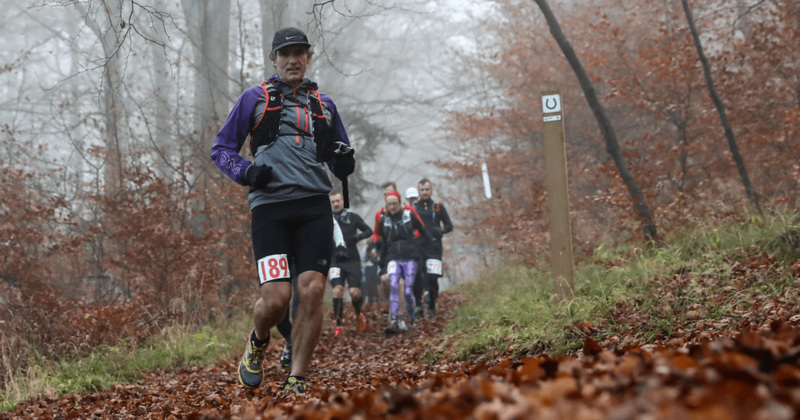 The inaugural Wendover Woods 50 completes this set along with the SDW 50, NDW 50 and Chiltern Wonderland 50. Centurion Running is owned by James Elson, a pretty talented runner in his own right. The races are known for their slick organisation, attention to detail and well-stocked aid stations, as well as the stunning courses. I know a number of people who came to check out the course route beforehand and said it was going to be brutal. I hadn’t managed to get up to see the course and to some extent, ignorance is bliss for me. I just start running and see what happens. Other than my fitness level, my only major concern was that I didn’t want to miss a turn and run off course for ages in the woods, especially at night. I parked up, in a dark, misty field, lit only by the two or three tents that had been set up for registration, bag drop, aid station etc. I collected my number and got changed in the car. It was cold, but perhaps not as cold I had expected it might be. I wore gloves for the first time since the summer but, although I had brought a buff, I didn’t feel the need to wear it. To pass it check I was wearing Richard’s purple jacket as my supposedly wind and rain proof Montane jacket doesn’t have taped seams. Having got myself prepared it wasn’t long before we made our way down to the start. James’s race briefing didn’t offer much reassurance to those of us worried about getting lost. He made a point about keeping your wits about you and looking out for the way markers at night, which he said could be easily missed. As usual, there were plenty of recognisable faces on view as we lined up at the start. My friends Alex Whearity and Paul Ali from Reading Runners were both treating this as a training run. Another friend Zoe Norman was attempting her first 50 miler and Sarah Sawyer was looking for a decent time and possibly a podium place. I also said hi to Vassos Alexander, whom I interviewed briefly at the start of the SDW 100 earlier in the year and caught sight of Susie Chan too. At 8am we were off. 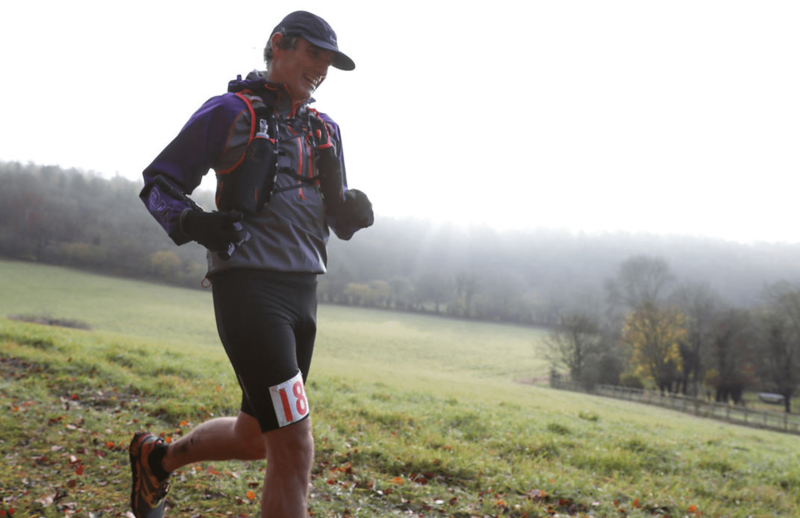 The Wendover Woods 50 course consists of five 10 mile loops. I had initially set a goal time of 12 hours but decided to set off at 10 hour pace. I thought if I could get two good laps in of around 2 hours each, that I would be in a good position. The first lap was shrouded in early morning mist. It was beautiful and eerie as we explored the course for the first time. The first kilometre or so is downhill on single track and then flat on a wide path. A left off the path and up a very short steep section takes us into a winding, undulating, looping section through dense woodland on single track. The footing is difficult. The path is covered with leaves and under the leaves are tree roots or sticky muddy areas. This was hard enough to negotiate during the day. At 4 kilometres in after a muddy downhill and a short hands on knees climb, we reached the downhill section called Power Line. Steep and slippy, with a few steps, the trail leads out into an open field. On the first lap any views there might have been were obscured by fog. We crossed the field and skirted the edge before two styles and a dip brought us back into the forest and up a gentle winding climb. Kilometre 6 was a down and an up. It was filled with false hope, unfortunately. At the end of a wide path downhill section, the half way aid station comes in to view. If you’ve not been keeping an eye on your distance you might be conned into believing you were in for a nice cup of tea. However, at the bottom, it becomes all too clear that the aid station is not for us. There’s a right turn and a sign saying Hell’s Road. In fact, this is a very runnable incline. It just goes on a bit. As the race wore on a lot of runners walked this section but I never felt the need. At the end of that, however, there is a definite hands-on-knees long slog up to the Go Ape Adventure Centre. It’s one of the two most energy sapping climbs on the course. Thankfully after that, it’s downhill all the way to the aid station. The path is narrow and winding and technical underfoot, but once you turn right on to the chalk path there’s just 400 metres to coffee. The first two laps of the Wendover Woods 50, I wanted to put in a decent shift. So I didn’t stop at all at the aid station which came at just over half way round the course. There’s a long incline after this. For the first three laps I did this as a run walk, but in the latter laps, it was definitely a walk. However, once you reach the left turn at the top and see the sign for The Boulevard of Broken Dreams, you know it’s time to run. This is the start of two sections of fast running on the route. Woods on the right and open country on the left winding back into the woods from kilometre 9 to 11. The Snake is the next climb at 12 kilometres. This is a steep, long slog. It’s not as steep as the one at the end of Hell’s Road, but it’s long and the more laps you do, the longer it feels. Reaching the top you are eventually back to the second section of good running for kilometres 13 and 14 before hitting the climb named Gnarling Around. It’s the steepest on the course. The position of the climb is both good and bad. Bad because it’s the end of the lap, you’re tired and the last thing you want to see is yet another steep, slippy, technical climb. Good because, being at the end of the lap, you know that once you’re up this bit, you are virtually home. It’s not the end of the climbing, however. What follows is a couple of downhill sections but mainly climbing for 2 kilometres to reach the field. There’s a 400 metre dash around the perimeter of the field, one more style, then a run past the cars to the tents in the middle of the field. I made it back here in just over 2 hours on the first lap and was back at HQ in around 4 hours 5 minutes. Not too shabby. I actually felt ok, but I could feel a gradual slow down occurring. I was fuelling with an odd mix. In one soft flask, I had Coke. Pretty standard. In the other flask, I had milk. I don’t really do too well with food during long runs but I know I need calories. So I have now started drinking Huel. I have tried Tailwind and Mountain Fuel, both of which make me feel sick after 30 miles or so. Huel is a meal replacement drink. It’s not specifically designed as a sports endurance drink, but it has everything you need in a powder. The suggestion is to mix it with water, but I mix it with full cream milk. It is also a nightmare to mix, so It can’t be done on the go or it just gloops together…..as I discovered on the SDW100. I mixed a 4 pint milk carton of the stuff prior to the race and kept it in my bag, taking a long drink after each lap. Coke and milk are possibly not the best thing to have mixing in your stomach but it seems to work ok for me at the moment. I am well aware that there is a significant percentage of the population who are lactose intolerant and for them, milk is a bad idea as a sports drink! I am also aware of the ethical arguments around drinking or not drinking milk. I’ve a lot of sympathy with the vegan position, but it would be such a huge step for me and would have a significant impact on my family too. So I’m not going to be turning vegan anytime soon I’m afraid. I saw lap three as the real test of the race. I definitely slowed but I still felt strong enough to carry on. In fact, at no point during the race did I ever consider pulling out. The early morning mist had given way to beautiful low winter sunlight. The views from some sections of trail, notably at The Power Line descent, very lovely and the dappled light through the trees is a sight I never tire of seeing. There were some sections of wide path covered in red, orange and yellow leaves which sparkled as the sun danced off their dew-glistened faces. It really was a lovely run through the woods. By now I had worked out the running sections, the walking sections and the hands on knees sections. However, I now felt the need to stop at the half way aid station. There was a super moment towards the end of lap three. I was climbing Gnarling Around and there was a little boy of about 5 at the top shouting at the top of his voice in a very confident, thespian manner, ‘One small step for man, one giant leap for mankind’. He repeated it a few times. Unfortunately, the one I filmed was the only one he messed up a bit. Never mind. It was hilarious and kept a smile on my face for the last little bit of lap three. I was back at HQ in around 6 hours 15 minutes. I may have spent a little too long here this time. I got changed, which is probably what added some time. I also stopped to chat to Alex, who, having had a very busy and tiring week, was not feeling it today and had pulled out at the end of his third lap. He and Paul Ali were way ahead of me. I walked the first 500 metres of lap 4 and by the Power Line descent at 5km the leading runners had started to pass me on their final lap. I was feeling tired but perfectly able to continue. Having been passed I was also passing a few back markers on their third laps. At the top of Hell’s Road by Go Ape, I found Zoe. She was on the verge of quitting but had just had an encouraging phone conversation with her other half, who has convinced her to try and go on. We had a brief chat and she certainly seemed to be suffering. I wished her luck and went on my way. I stopped too long at the aid station and drank coffee. Darkness fell very quickly after half way and the final 3 miles of lap four were done in the dark. But I got to HQ knowing I would finish the race. Lap four had, for a variety of reasons, taken me a long time. Over 2 and a half hours, and then I spent a few minutes at the aid station filming an interview with James Elson. I didn’t leave to start my last lap until around 9 hours 30 minutes into the race. Everything is slower in the dark. You have to be extra careful with your footing, especially on a course like this. Knowing the course quite well by now, it was interesting to see the lights of other runners on other sections of the course only a few metres away. Wendover Woods 50 is a 10 miles loop within one and a quarter square miles of woodland, so the course snakes around all over the place. I had my camera in my backpack during this lap. Unfortunately, it managed to turn itself on and start recording which wasted the battery. So I spent too long at half way trying to get it to work, to no avail. Not that it would have been able to see much in the dark, but I thought I might try. I knew by now that I was going to finish in approximately 12 hours, which is what I had planned for originally. As is often the case with me, having slowed significantly in the last 20 miles, I felt full of running in the final few miles. I even raced a guy behind me to the finish. I had managed to catch him and a lady and ran with them for a bit before forging ahead. But I could hear him not far behind and I definitely put in some effort in the last two miles to make sure I stayed ahead of him. I crossed the line in 12 hours and 7 minutes feeling pretty good. As soon as I crossed the line I began to feel the cold. Ever prepared, Centurion had blankets available in which to wrap ourselves and I was soon in the comforting arms of a warm cup of coffee. I even managed to eat some chilli and bread after taking an age to get changed. It’s at times like this that cruise control is a very welcome addition to modern vehicles. I sat in the driver’s seat, but so devoid was I of energy, that I pretty much let the car drive me home. I came 69th overall. 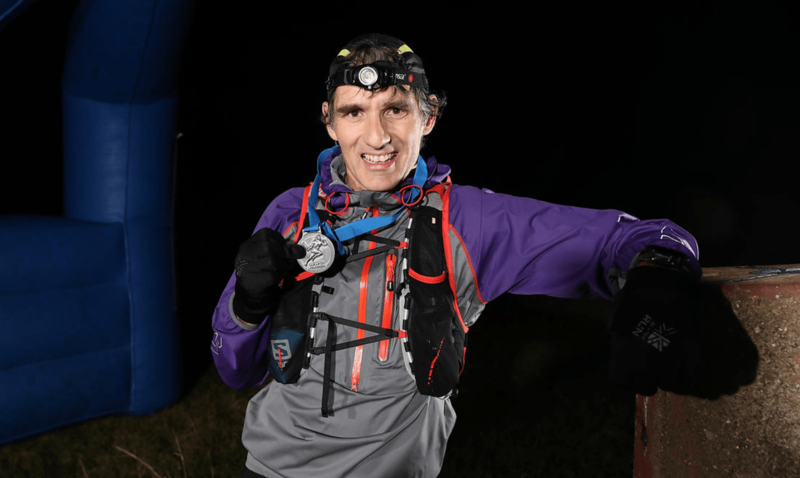 The race was won by Jeff Pyrah, a previous Beachy Head Marathon winner, in 7:39. Centurion regular Neil Kirby came second in 7:42. My friends Sarah Sawyer and Paul Ali both did very well indeed. Sarah came in 3rd lady in 10:23 and Paul finished 18th overall in 9:27. Unfortunately, Zoe did eventually pull out due to sickness. Gutting for her, but she got back on the horse a week later and completed the Mouth to Mouth Marathon. For me, I think 12 hours was a sensible prediction. If I was fully fit, not filming and taking WW50 as an A race for the year, I could possibly have done it in 11 hours. I’m not a bad runner by any means but I am certainly not amongst the fast lot! I was 31st in my gender age group and Jeff, the winner, is in my age category. I would argue that the 40-49 age category is, in fact, the toughest age category in which to compete. Can’t wait to hit 50!! Huge thanks to the Centurion team for a splendid first Wendover Woods 50. Great course. I like laps, so that was ok. Signage was actually no problem at all. Marshalling was great. Aid stations were well stocked, Stuart March took some super pics as always and James, who never looks in the slightest bit stressed, didn’t look the slightest bit stressed for the entire day. I think I would like to come back next year and give this a good go. Paul Ali’s WW50 blog is here and Susie Chan’s blog is here.